Five Reasons That the LGBT Community in Turkey Needs Heroes Like Ali Erol… and How You can Help! Subject to state harassment and widespread discrimination, the Turkish Lesbian, Gay, Bisexual, and Transgender community faces dangers on all sides. Amnesty has long campaigned on LGBT issues in Turkey. However, we can’t forget the heroic work of Turkish activists, who have – despite grave personal risk – worked to protect the human rights of LGBT individuals in Turkey. Last month, one of these activists, Ali Erol, received the 2013 David Kato Vision & Voice Award in recognition of his work with KAOS-GL, one of the first and most important examples of an increasingly outspoken LGBT activism in Turkey. 1. Harassment and discrimination of Lesbian, Gay, Bisexual and Transgender individuals is a daily occurrence in Turkey. In a recent case that received significant media attention in Turkey, Halil İbrahim Dinçdağ, a referee for the Turkish Football Federation was subjected to harassment, disavowed by friends and family, and suspended from his job when he came out as gay. Discrimination is reinforced by the government’s attitude. Turkish officials have described homosexuality as “a disease” and rejected proposals for legal protections for LBGT citizens. Homophobic comments from prominent government officials are the norm rather than the exception. 2. Violence. With horrifying frequency, this culture of discrimination has sparked violent attacks. In 2010, for example, Ahmet Yıldız was shot and killed by his own father in what has been called an “honor killing.” Amnesty continues to press for justice in the case. Transgender Turks, in particular, have been subject to widespread violence. Complaining to the police can be risky; Turkish police often treat those filing complaints as criminals rather than victims. 4. Freedom of Association. 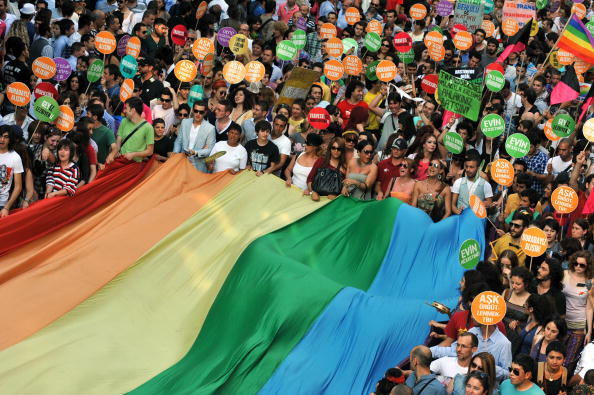 Turkish officials have also attacked the rights of LGBT citizens to Freedom of Association. LGBT groups in Turkey have been subjected to repeated audits and officials have attempted to shut them down under public morality laws. The government reportedly fined one LGBT group, Pembe Hayat, or Pink Life, for submitting required documentation too early! Although Turkish courts have upheld the right of association for LGBT groups, the Supreme Court of Appeals has noted that encouraging others to become lesbian, gay, bisexual, or transgender was not protected by the right of freedom of expression and could lead to closure. The court’s concern may be absurd, but the result is tragic, providing a path for further legal harassment of Turkish LGBT groups. 5. The problem of military conscription. Turkey has universal male conscription and, because it treats homosexuality as a disease, precludes gays from serving. The reality for gays of military age is an ugly one. Proving one’s qualification for exemption is a shockingly degrading process. Obtaining the exemption effectively “outs” the individual, opening them to harassment and social sanction. This exemption also limits later employment opportunities. Those who do serve in the military but are later discovered to be gay are treated as criminals, charged with having committed “unnatural intimacy,” and subject to dismissal. Activists like Ali Erol are doing tremendous work in demanding human rights for LGBT individuals in Turkey, but there is a lot of work to be done. You can help support this effort! You can follow our work on human rights in Turkey by liking the TURKRAN page on Facebook. Please also consider joining Amnesty – USA’s Turkey Regional Action Network by contacting Natsumi Ajiki. Work with us to make a difference! More information on Amnesty’s work fighting for LGBT rights can be found here. You can follow our LGBT co-group on facebook or on twitter, to keep abreast of important news and ways to help, including current actions regarding Uganda and South Africa. Send a letter to Prime Minister Erdoğan in your own words asking that the Turkish government extend constitutional protections of the right to non-discrimination to include sexual orientation and gender identity and to introduce comprehensive non-discrimination legislation. This entry was posted in Censorship and Free Speech, LGBT Rights and tagged Ahmet Yildiz, Ali Erol, amnesty international, David Kato Vision & Voice Award, Erdoğan, freedom of association, freedom of expression, Halil Ibrahim Dincdag, homophobia, human rights, human rights defenders, Internet Censorship, kaos-gl, LGBT Rights, pembe hayat, RTUK, transgender, Turkey by Howard Eissenstat. Bookmark the permalink. Howard Eissenstat is an Associate Professor of History at St. Lawrence University, in Canton, NY as well as serving as a Country Specialist on Turkey for Amnesty International USA. One day, I want to see Turkish cities like Ankara and Istanbul to be true cosmopolitan cities where there will be no religious, sexual orientation and racist bigotry. That will pave the way for progress. Turkish heroes will never be forgotten. Their sacrifices are truly worth remember.